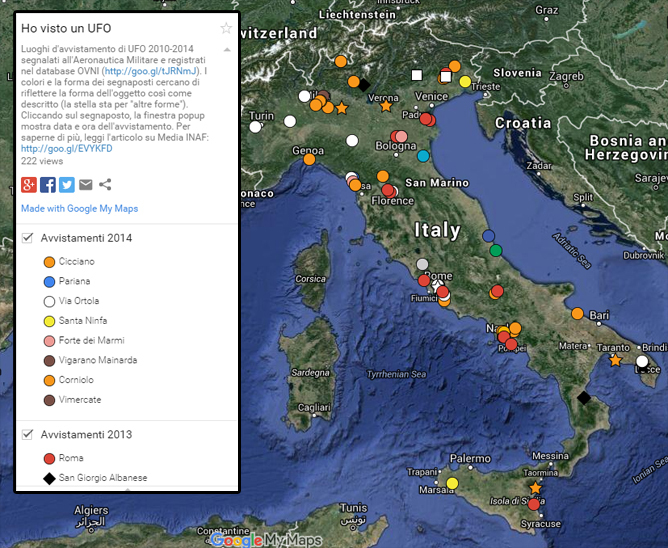 Marco Malaspina for Media INAF has just published details about the 69 sightings reported to the Italian Air Force during the years 2010-2014. According to the Air Force’s records, the UFOs reported were most commonly orange in color (36% of the cases), spherical in form (46%), spotted during the month of June (22%) between 9 pm and midnight (50%). The article includes an interactive map, showing the specific locations of the sightings reported.